Roadworks Ahead Roll Up Sign Portable collapsible road traffic roll up signs are manufact..
Road Narrows Nearside Roll Up Sign Portable collapsible road traffic roll up signs are ma..
Road Narrows Offside Roll Up Sign Portable collapsible road traffic roll up signs are man..
Roadworks Ahead c/w End Roll Up Sign Portable road traffic roll up signs are manufactured..
Roadworks Ahead c/w Grass Cutting Roll Up Sign Portable road traffic roll up signs are ma..
Roadworks Ahead c/w Hedge Cutting Sign Portable road traffic roll up signs are manufactur..
Roadworks Ahead c/w Tree Cutting Sign Portable road traffic roll up signs are manufacture..
Roadworks Ahead c/w Surveying Roll Up Sign Portable road traffic roll up signs are manufa..
Roadworks Ahead c/w Road Sweeping Roll Up Sign Portable road traffic roll up signs are ma..
Roadworks Ahead c/w Overhead Works Roll Up Sign Portable road traffic roll up signs are m..
Roadworks Ahead c/w Line Painting Roll Up Sign Portable road traffic roll up signs are ma..
No Smoking Roll Up Sign Portable road traffic roll up signs are manufactured by Quazar Internat..
Pedestrian Left Roll Up Road Sign Portable road traffic roll up signs are manufactured by..
Pedestrian Right Roll Up Road Sign Portable road traffic roll up signs are manufactured b..
Directional Arrow Left Roll Up Sign Portable collapsible road traffic roll up signs are m..
Directional Arrow Right Roll Up Sign Portable collapsible road traffic roll up signs are ..
Ramp Roll Up Road Sign Portable road traffic roll up signs are manufactured by Quazar Int..
Traffic Control Ahead Roll Up Sign Portable road traffic roll up signs are manufactured b..
Road Closed Roll Up Sign 1050mm x 750mm. 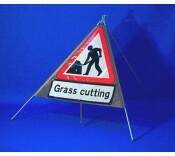 Portable road traffic roll up signs are manufactured b.. When Red Light Shows Wait Here Roll Up Sign Portable road traffic roll up signs are manuf..